Is the weather getting a little better where you live? It is here. Early spring is a great time to blend the heavier winter cuisine (including pasta) with a little freshness (veggies). 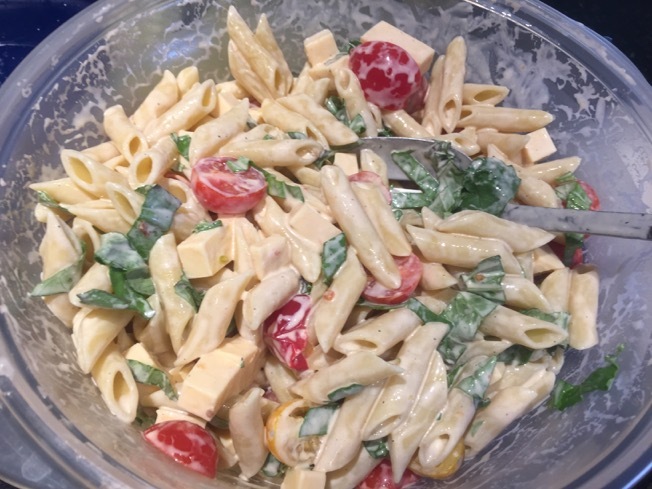 This pasta salad is a great mixture of both! Bring a large pot of salted water to a boil. Add the pasta and cook as the label directs. Drain and rinse under cold water until no longer hot; set aside. 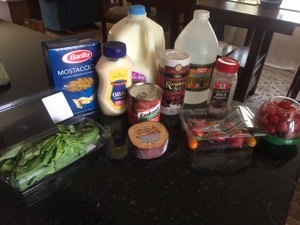 Make the dressing: Mix the mayonnaise, milk, vinegar, 1/2 teaspoon salt, pepper to taste and the adobo sauce in a small bowl. In a large bowl, combine the pasta, dressing, tomatoes and gouda. Taste for seasoning, adding more salt and pepper if needed, and even an extra teaspoon or 2 of vinegar, if necessary. Stir in the basil at the end. Refrigerate for a couple of hours before serving.